Hypofunction of striatal dopamine neurotransmission, or hypodopaminergia, is a consequence of excessive ethanol use and is hypothesized to be a critical component of alcoholism, driving alcohol intake in an attempt to restore dopamine levels; however, the neurochemical mechanisms involved in these dopaminergic deficiencies are not fully understood. Here we examined the specific dopaminergic adaptations that produce hypodopaminergia and contribute to alcohol use disorders using direct, sub-second measurements of dopamine signaling in nonhuman primates following chronic ethanol self-administration. Female rhesus macaques completed 1 year of daily (22 h/day) ethanol self-administration. Subsequently, fast-scan cyclic voltammetry was used in nucleus accumbens core brain slices to determine alterations in dopamine terminal function, including release and uptake kinetics, and sensitivity to quinpirole (D2/D3 dopamine receptor agonist) and U50,488 (kappa opioid receptor agonist) induced inhibition of dopamine release. Ethanol drinking greatly increased uptake rates, which were positively correlated with lifetime ethanol intake. Furthermore, the sensitivity of dopamine D2/D3 autoreceptors and kappa opioid receptors, which both act as negative regulators of presynaptic dopamine release, was moderately and robustly enhanced in ethanol drinkers. Greater uptake rates and sensitivity to D2-type autoreceptor and kappa opioid receptor agonists could converge to drive a hypodopaminergic state, characterized by reduced basal dopamine and an inability to mount appropriate dopaminergic responses to salient stimuli. 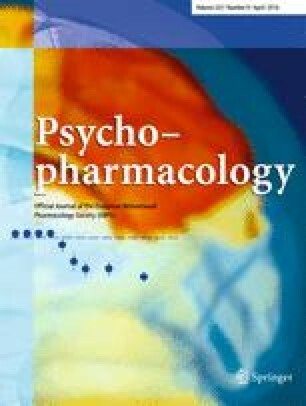 Together, we outline the specific alterations to dopamine signaling that may drive ethanol-induced hypofunction of the dopamine system and suggest that the dopamine and dynorphin/kappa opioid receptor systems may be efficacious pharmacotherapeutic targets in the treatment of alcohol use disorders. This work was funded by NIH grants U01 AA014091, P01 AA021099 (SRJ), F31 DA031533 (ESC), F31 DA037710, T32 AA007565 (CAS), F31 AA020439 (JTY), P51 OD011092, R24 AA019431, P60 AA10760 (KAG), Division of Intramural Clinical and Biomedical Research NIAAA (DML), and Integrative Neuroscience Initiative on Alcoholism AA 13510 (KAG). Substance Abuse and Mental Health Services Administration (2012) National Survey on Drug Use and Health (NSDUH): http://www.samhsa.gov/data/NSDUH/2012SummNatFindDetTables/DetTabs/NSDUH-DetTabsSect2peTabs43to84-2012.htm#Tab2.71B.